The East Commuter Rail Line between Denver’s Union Station and the Denver International Airport remains on schedule to open in 2016. The first four commuter cars that will travel the line have arrived in Colorado and are parked at Union Station in preparation for public tours. These are the rail cars that will be used on four FasTracks lines. 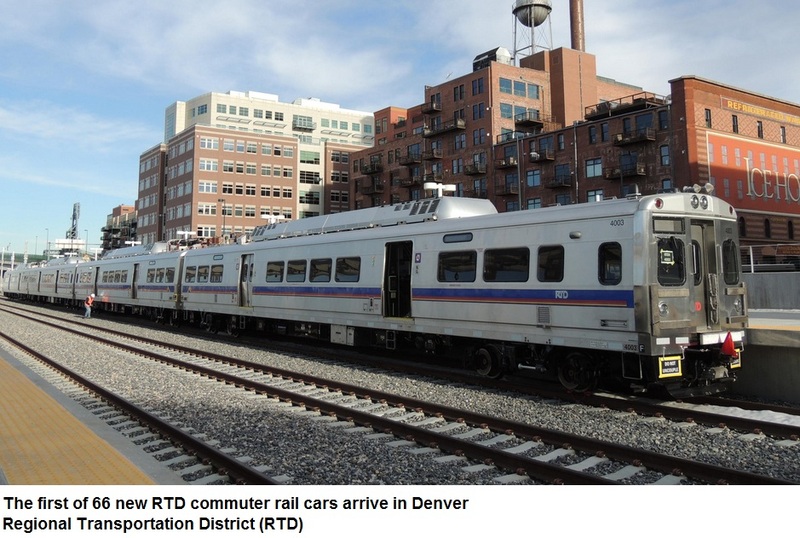 RTD has purchased 66 vehicles to serve the East Rail Line to Denver International Airport, the Northwest Rail Line to Westminster, the Gold Line to Arvada/Wheat Ridge and the North Metro Rail Line to Thornton. Commuter rail trains are heavier and travel faster than light rail vehicles, but operate in a similar way, using overhead electric lines. They will travel up to 79 miles per hour. 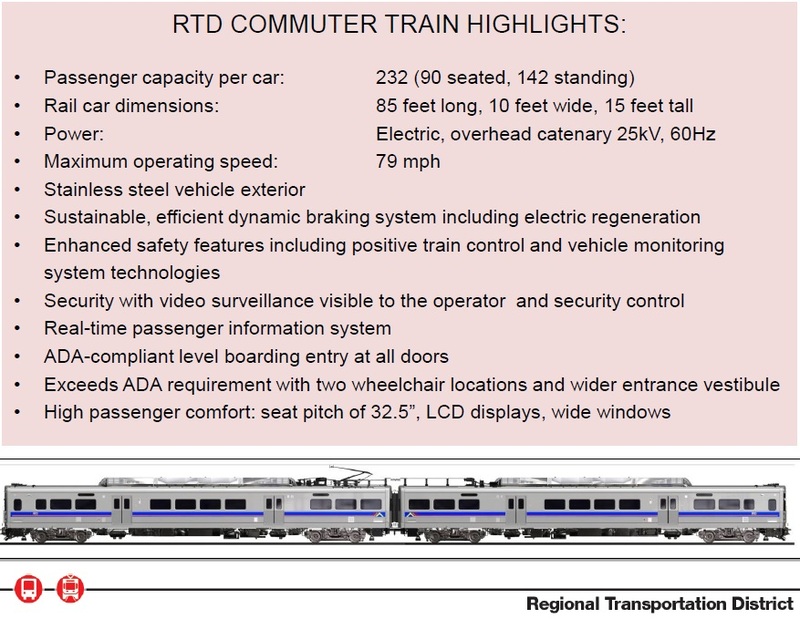 Commuter rail is used on longer lines and make fewer stops than a typical light rail system. The 5.3-mile Central Rail Line opened in 1994, and is Denver’s first light rail line between I-25 & Broadway and the 30th & Downing Station. 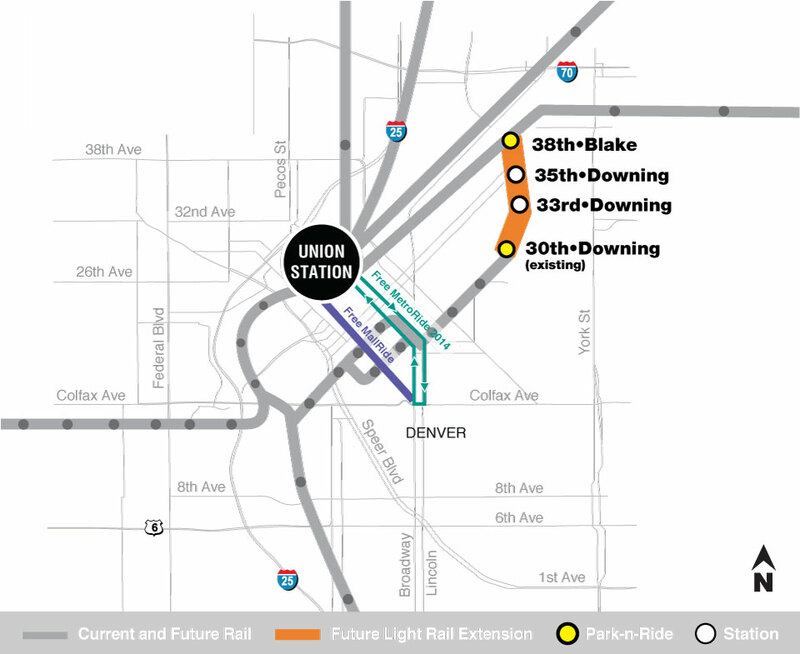 The Central Rail Extension will connect existing downtown light rail service with the planned 38th & Blake Station on the East Rail Line alignment. Service would be provided by single light rail trains between downtown Denver and the 38th & Blake Station. Two new stations are proposed at 33rd/Downing and 35th/Downing. 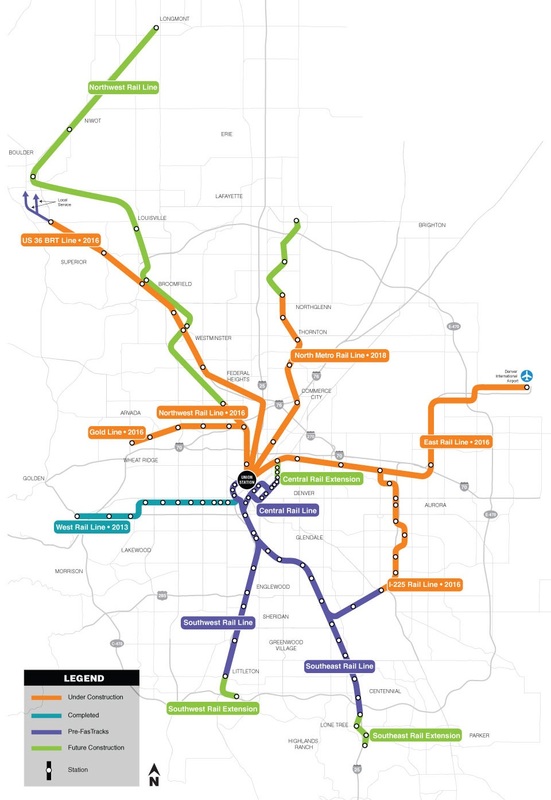 The East Rail line is a 22.8-mile commuter rail transit corridor that will operate between Union Station and Denver International Airport (DIA). 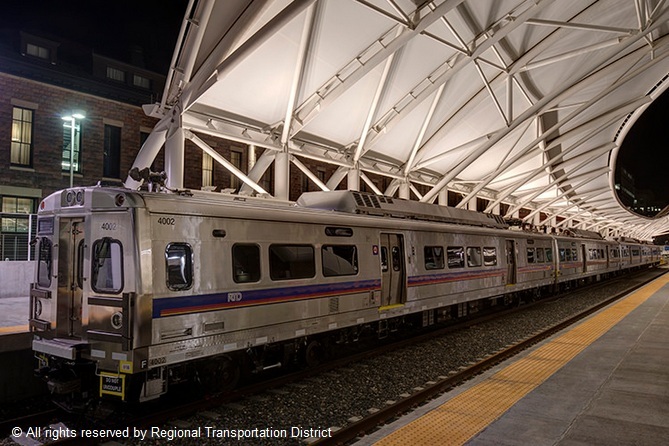 The rail line will connect these two important areas while serving adjacent employment centers, neighborhoods and development areas in Denver and Aurora. The East Rail Line is being constructed as part of the fully funded Eagle P3 Project. 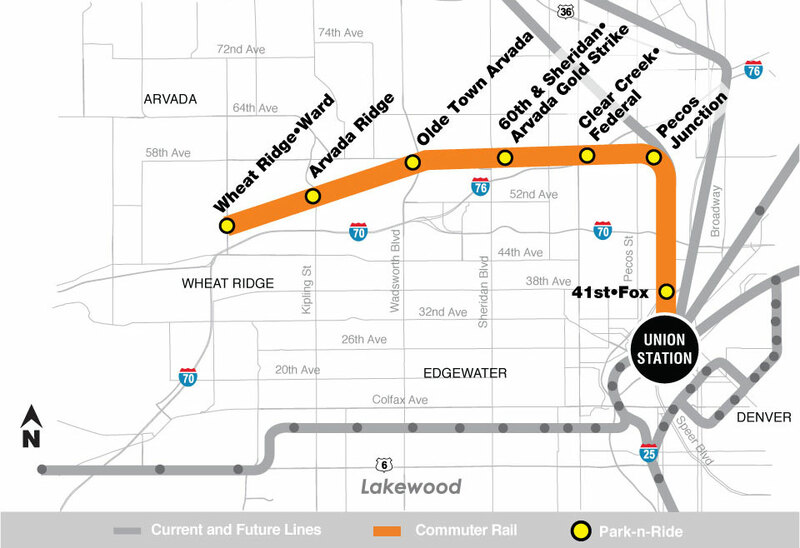 The 11.2-mile commuter line will run along the BNSF/Union Pacific Railroad route from Union Station to Wheat Ridge, serving northwest Denver, Adams County and Arvada. There are eight stations: Union Station, 41st/Fox, Pecos, Federal, Sheridan, Olde Town Arvada, Arvada Ridge and Ward Road. Full construction is underway. The I-225 Rail Line is a 10.5-mile light rail line within the City of Aurora and a small section of northeast Denver. It will connect the existing Nine Mile Station on the Southeast Light Rail Line with the upcoming Peoria/Smith Station on the East Rail Line. 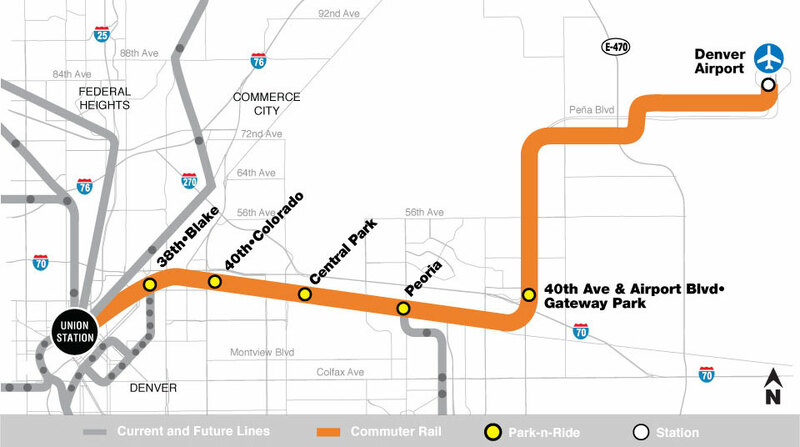 The I-225 Rail Line includes 1,800 parking spaces and eight stations: Iliff, Florida, City Center, 2nd/Abilene, 13th Avenue, Colfax, Fitzsimons and Peoria. 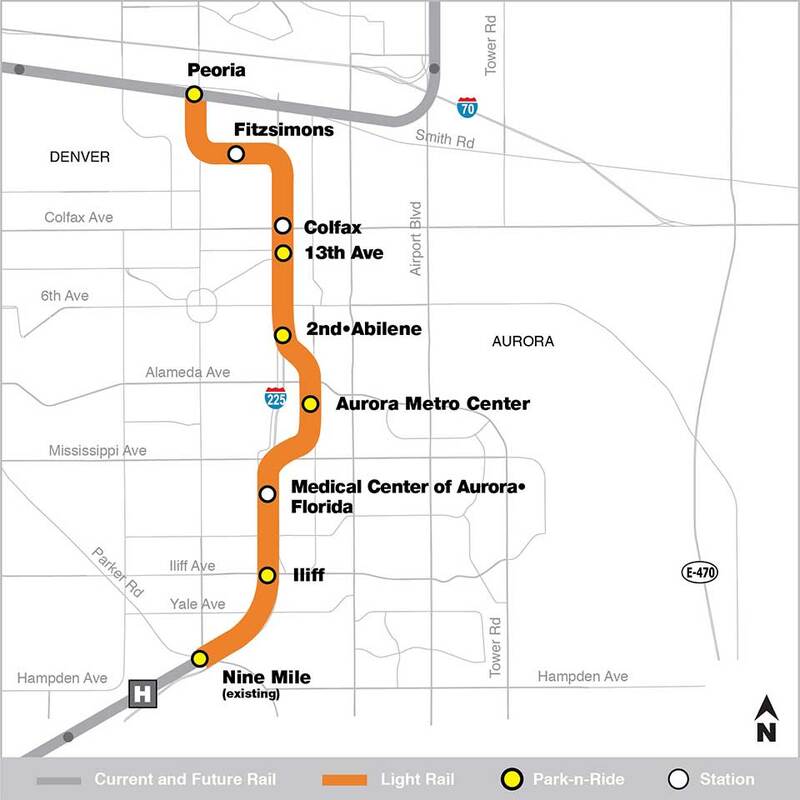 The I-225 Rail Line will provide regional connectivity to major activity centers like the Medical Center of Aurora, Aurora City Center, University of Colorado Denver Anschutz Medical Campus, Fitzsimons Life Science District, Children’s Hospital, the new VA Hospital, and Denver International Airport through a transfer at Peoria to the East Rail Line. 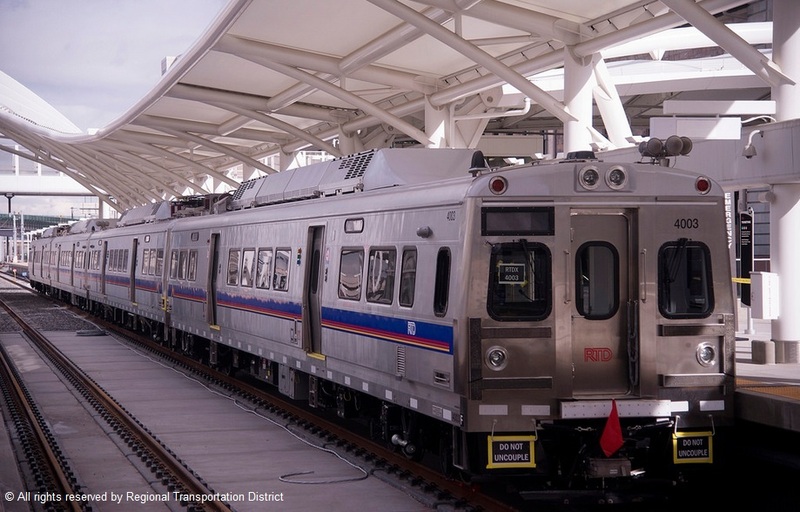 The North Metro Rail Line is an 18.5-mile long commuter rail line that will run from Union Station through Commerce City, Thornton and Northglenn to state Highway 7 in North Adams County. 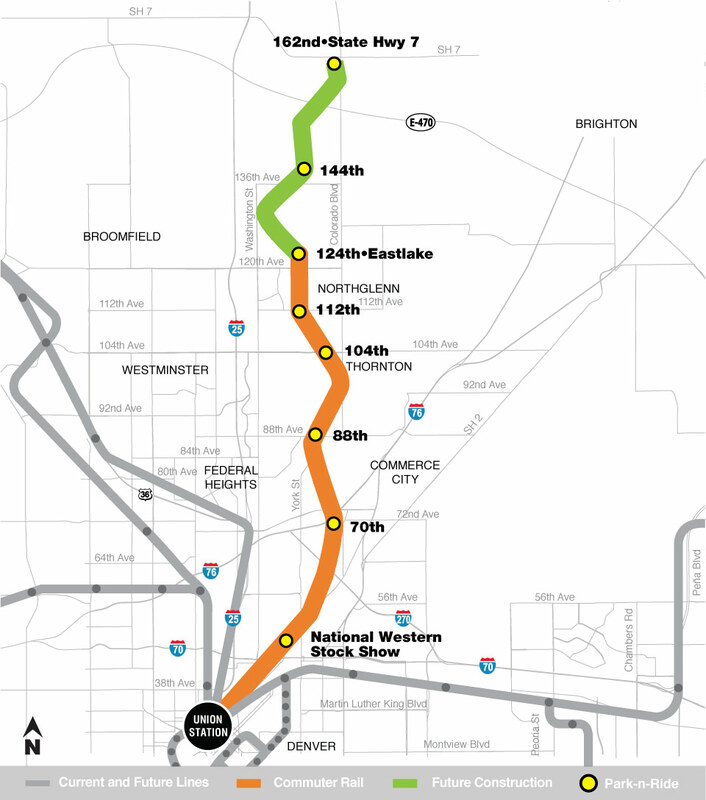 On December 13, 2013 RTD signed a $343 million contract with Regional Rail Partners (RRP) to design and build the first 13 miles of the North Metro Rail Line to 124th Avenue. RRP commits to completing construction of the line to 124th Avenue by January 2018. The first 6.2-mile segment of the Northwest Rail Line from Union Station to south Westminster (71st Ave. and Lowell Blvd.) is under construction and funded as part of the Eagle P3 project. This commuter rail project is scheduled for completion in 2016. 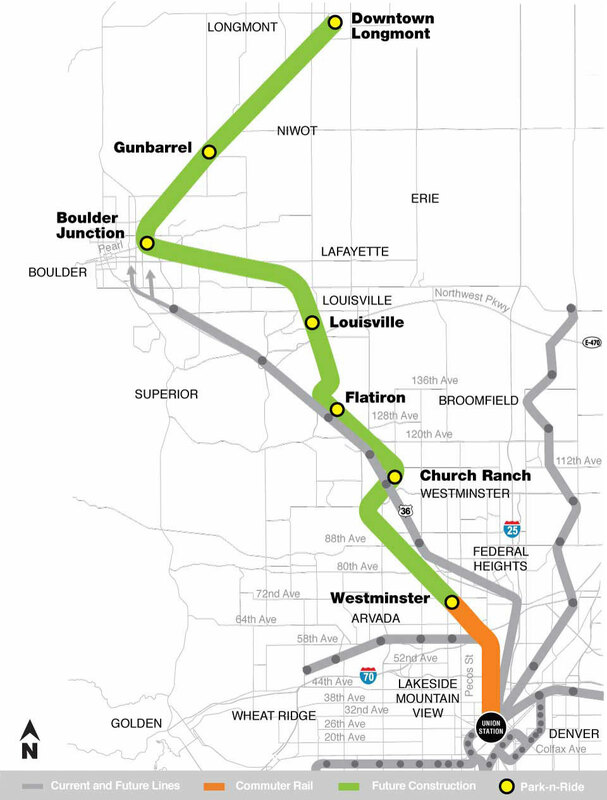 When completed the Northwest Rail Line will be a 41-mile commuter rail project from Union Station to Longmont, passing through North Denver, Adams County, Westminster, Broomfield, Louisville and Boulder. 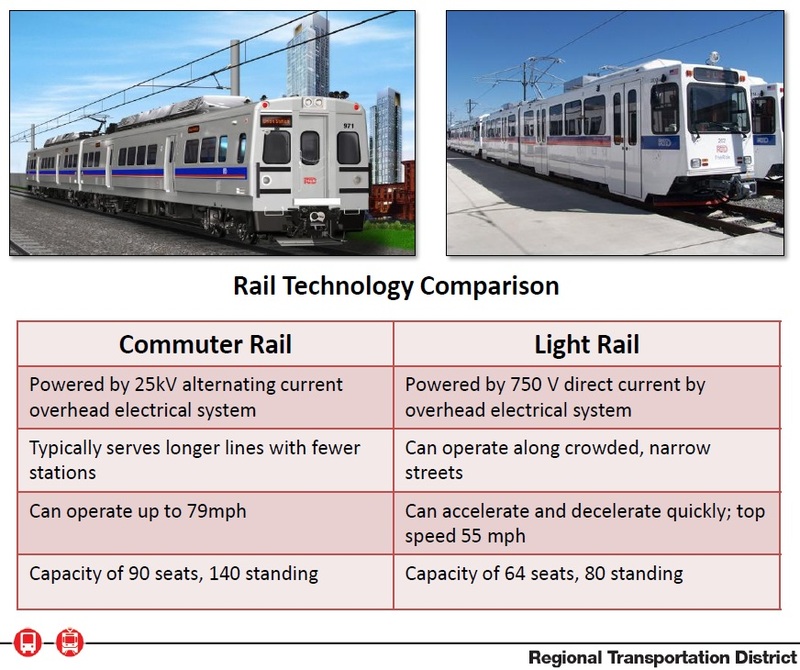 The Southeast Rail Line includes 19.1 miles of the popular RTD light rail system. It extends from I-25/Broadway to Lincoln Avenue in Douglas County, with an additional connection along I-225 from I-25 to Parker Road. The Southeast Rail Line Extension will make the Southeast line even more successful than it is today. 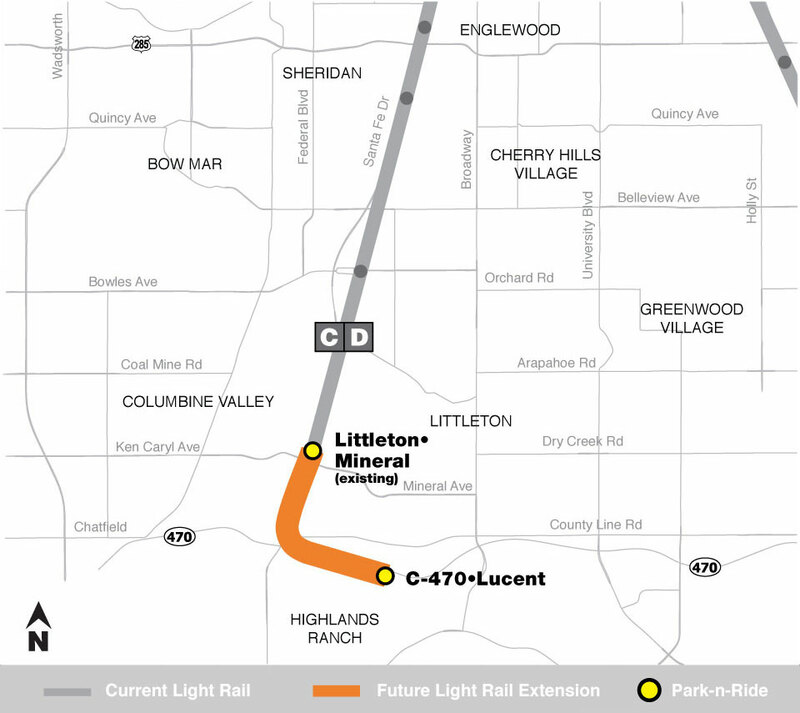 The Southwest Light Rail Line opened in July 2000 as an 8.7 mile extension from I-25/Broadway to Mineral Avenue in Littleton. The Southwest Light Rail has five stations with nearly 2,600 parking spaces. 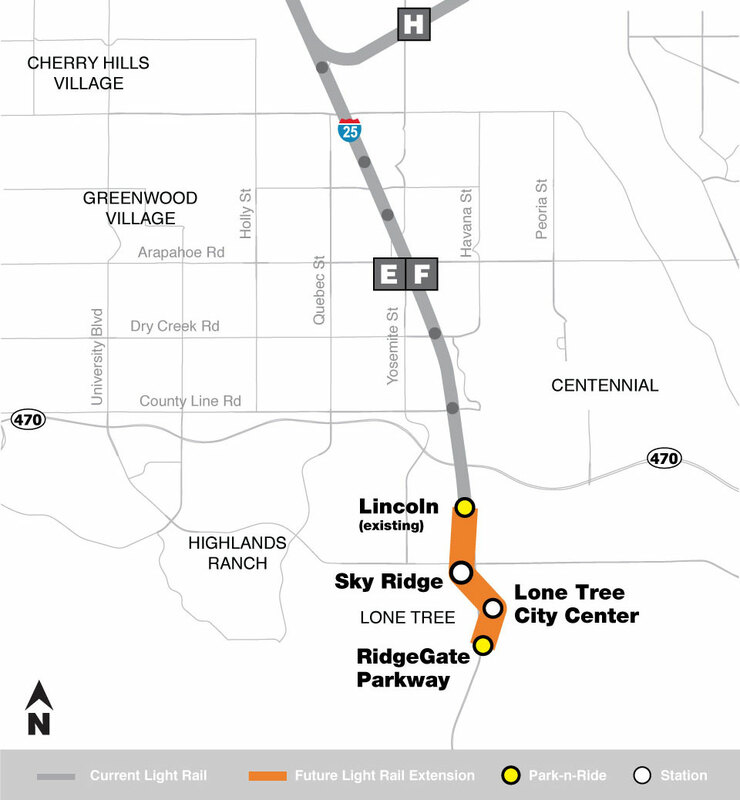 The Southwest Rail Extension will make the Southwest line even more successful by adding 2.5 miles of additional light rail and a 1,000 space Park-n-Ride at the end-of line station at C-470/Lucent Boulevard.